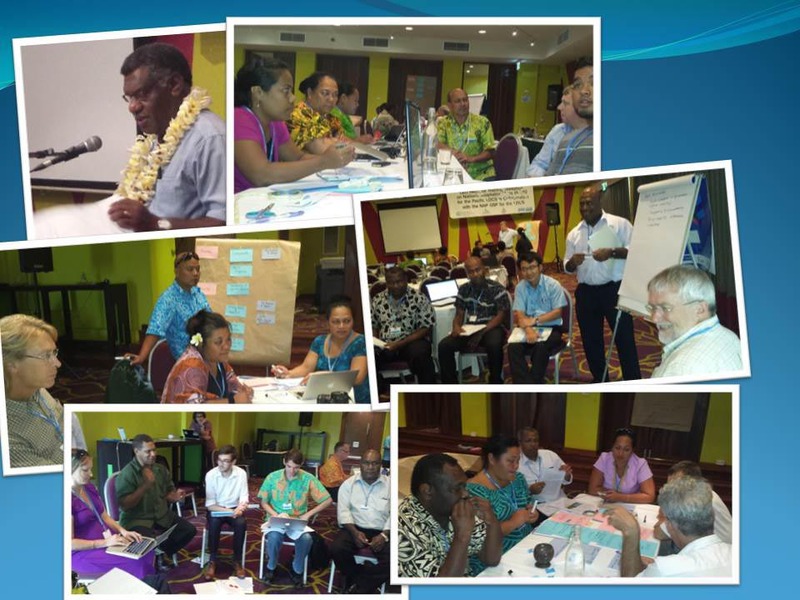 The Least Developed Countries Expert Group (LEG) Regional Training Workshop on NAPs for Pacific LDCs in collaboration with NAP-GSP took place in Port Vila, Vanuatu, from 3-7 November 2014. The five-day meeting brought together representatives from ministries of environment. planning and finance from Pacific Island least developed and developing countries, together with delegates from regional and academic institutions, donor organisations, and UN agencies. Representatives are present from the Cook Islands, Kiribati, Marshall Islands, Nauru, Palau, Samoa, Solomon Islands, Tuvalu, and Vanuatu. a) To enhance the capacity of the LDCs to address medium- and long-term adaptation needs through the NAP process. c) To provide practical strategies/good practices that country can build on their formulation process. > News - Pacific countries meet to "plan for an uncertain climate future"